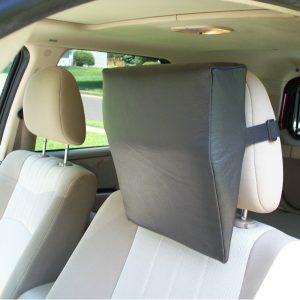 Add On Headrest with orthopedic grade, high energy absorbing foam cushioning for protection and soothing, comfortable support. Proven in independent crash tests effective for reducing the severity and duration of whiplash injuries in the event of an auto accident. Heavy-duty, adjustable elastic strap attaches easily to high back seats and adjustable head restraints. 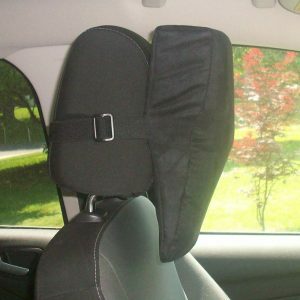 Unique wedge shape ergonomic design fills the space between the car seat and the driver’s head, neck and upper back. Easy to install. U.S. Patent No. D399,080.